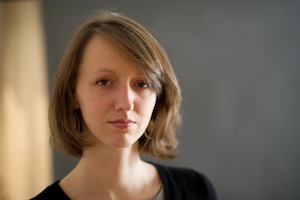 Katie Booth’s work has appeared in Indiana Review, Mid-American Review, The Fourth River and Vela. For her book-in-progress, on Alexander Graham Bell’s controversial work with the deaf community, she has earned support from the Edward Albee Foundation, the Blue Mountain Center and the Massachusetts Historical Society. She teaches writing and journalism at the University of Pittsburgh.